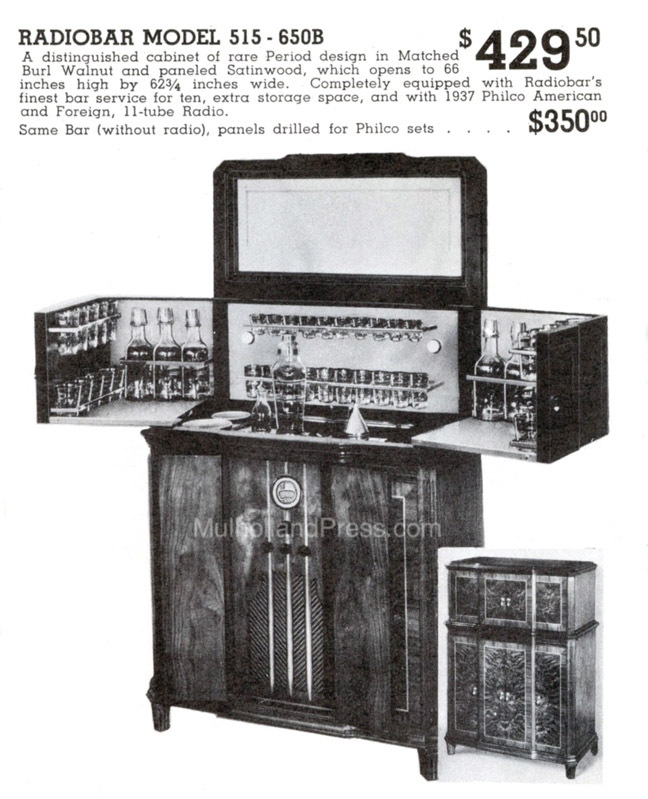 This is one of the largest and most impressive of the Philco Radiobars. 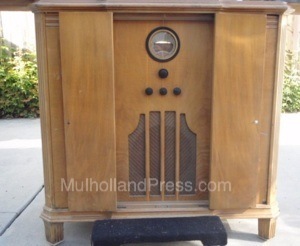 The 1937 cost was $429.50 when equipped with the model 37-650 8 tube radio chassis. Without radio, the cost was $350. 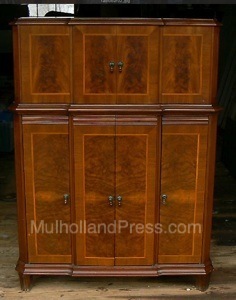 The burl walnut and satinwood cabinet was 49 1/2” high, 37” wide and 18 1/2” deep closed. 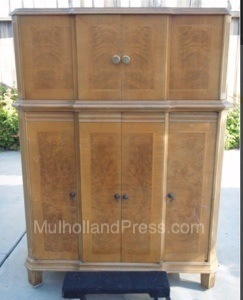 In open position the cabinet was 66” high and 66 1/4” wide. 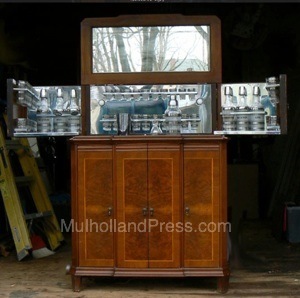 Bar equipment consisted of ten each of four size glasses, six decanters, cocktail shaker, polished funnel, ice container, stainless steel knife, bottle opener, corkscrew and refuse container. A deep well was provided for storage of ginger ale or charged water.